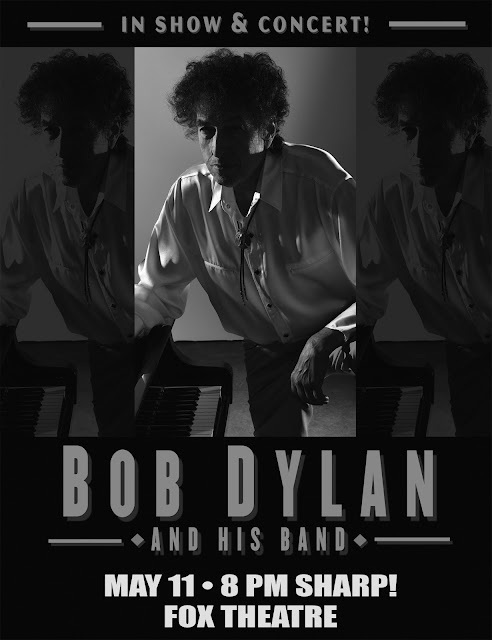 Bob Dylan and His Band make their return to St. Louis on Monday, May 11th at the Fox Theatre! We have a pair of tickets to give away to the show. Details on how to enter are at the bottom. 2. Leave us a message on our Facebook page (leaving it as a comment on the original contest post is fine). BONUS: Share the link to the contest on Facebook (tag us at #speakersincode in the comment of your share), and your name WILL BE ENTERED TWICE. 3. Send an email to: jason.speakersincode@gmail.com with the subject: "BOB DYLAN Tickets." The contest will run through Wednesday, May 6th at 5PM, and we'll randomly pick and contact the winners shortly after (if you enter through FB, we'll announce your name on our FB page). Good luck!